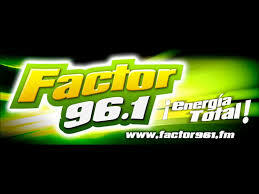 Factor 96.1 San Luis Potosi en Vivo . XHOB FM is a radio station on 96.1 FM in San Luis Potosí . It is owned by MG Radio and is known as Factor 96.1 with a pop format.